I’ve always been a full-time homemaker, (aside from that one year I worked when my first child was just 2). I know, kind of surprising. Other than that, I’ve been in the home for the past 26 years. I have also always been terribly blessed to have been surrounded by women who were also full-time homemakers. My mom and my best friend growing up… her mom too… yes, full-time wives and mothers, at home. The first church we went to after getting saved and married, I made friends with, again, all full-time homemakers. And when we moved to the Midwest (from California) and I made new friends… you guessed it, Godly, encouraging women who loved the LORD and served their families from their homes day in and day out. It wasn’t until about 6 or 7 years ago that I started to notice women online who hadn’t experienced what I had. Quite the opposite in fact, and in regards to homemaking… they were at a loss. How can I plan simple but healthy meals? How do I train my children? What’s the best way to clean the bathroom? I had such a solid foundation as a homemaker, and an incredible amount of support from family and friends. I was literally surrounded by families who followed traditional roles. I can’t think of any families we knew well at that time where the wife didn’t stay home, homeschool the children, bake bread, etc while Dad went out and earned the dough. Pun intended. 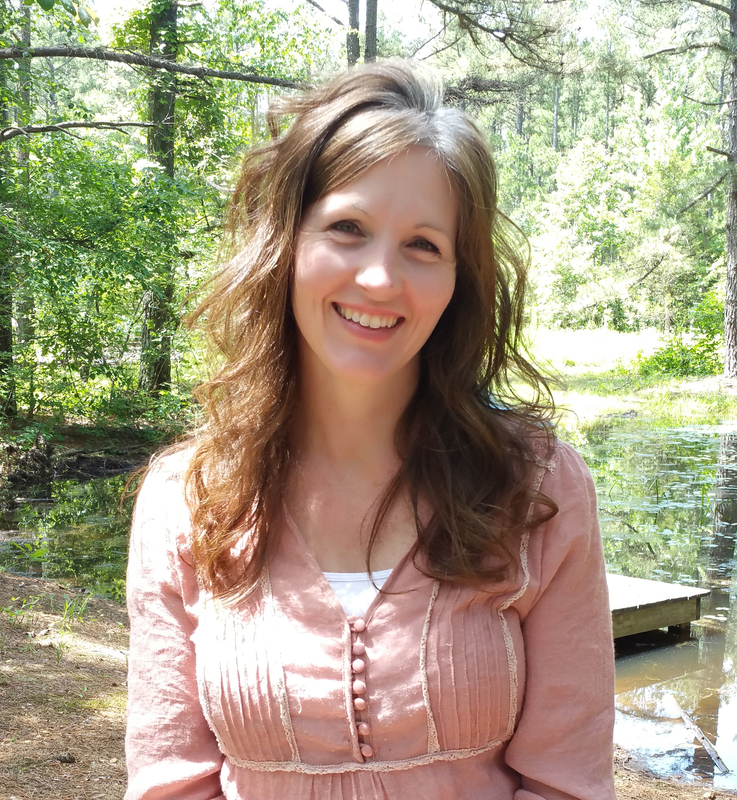 Noticing that gap, I wanted to reach out to those who felt lost as homemakers. I wanted to share what I knew and offer encouragement. So in 2011 our family created the Homemaking 101 DVD. Three years later we produced and released Homemaking 201. Those DVDs are my heart and my homemaking knowledge on film. My youngest children still call them “home videos.” They were created during a sweet time in our lives where we had been somewhat sheltered from a lot of the outside world. It was a blessing. Life has a way of changing what you’re used to and what you’re comfortable with. Since those films were made, we’ve sold the Homemaking 101 house that my husband built for us with his own two hands. And yes, our children and I helped a lot too. My husband works solely from home now. When the DVDs were being filmed, he had his own construction crew and was out of the house 50-60 hours per week. I wear skirts much less often now. And, during 2011, I had 4 children ages 5 and under. Today the 5 year old is our youngest child. My love for homemaking though… that has not changed. In the evening sometimes, it still brings me joy to pick out clean jammies for our youngest, knowing I did the laundry, and put it away, earlier in the day. I still enjoy getting all the ingredients out of the cabinet and refrigerator in the late afternoon to make a dinner I know I planned out earlier that week. Homemaking still is a joyful, life giving activity for me even though it’s been challenging the last few months since we began a full remodel on the home we purchased in May. Still though, a project house is much nicer clean than it is dirty. 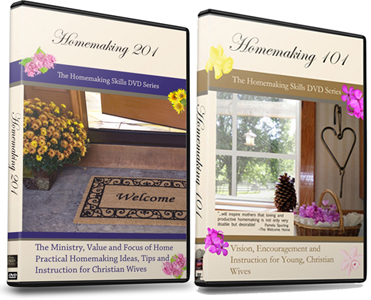 All summer our Homemaking DVDs have been out of stock. With our move to Florida and the enormous house project we’re working on, packaging and shipping orders wasn’t something I could keep on my plate during that time. We are more settled now though, and sooooo just today I placed an order for a brand new shipment of both 101 and 201 DVDs! I should have them “in house” and ready to send out by the beginning of October, which is just next week. It’s kind of exciting to be able to offer them again. So many times ladies have written and shared what a blessing the DVDs have been to them. I give all the glory back to the One that made those films and my up-bringing possible. Without the LORD we can do nothing and only He is good. Thankfully though He gives us gifts to use and share. My only gift to offer the younger women may be my heart towards and my knowledge of homemaking. If that is true, I am blessed. It’s a gift I was given and it’s a gift I want to bless others with as well. What About Homemaking 301, etc? Well… I still get asked about it. And truth be told, I’d always planned to create and release the third DVD in November of this year. But… life. The move to a new area 700 miles away and the remodel we’re living in has made filming near impossible. Also, I learned about other was to bless homemakers and have been working on those outlets, rather than creating and editing a new DVD. In the last several years the ways to instruct and encourage others around the world has gained popularity. While online courses have become fairly trendy, I see their benefit. Podcasting too, has thoroughly caught on since our last DVD in 2014. I’ve learned about those avenues and taken advantage of both. The blessing of being able to create an online training course that anyone can learn from, worldwide, is simply astounding. 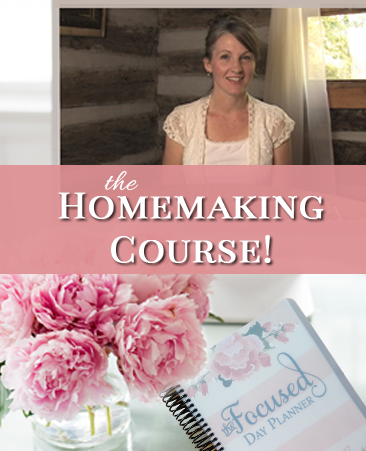 The ladies who have signed up for my homemaking course stretch from just an hour from my house in the Midwest to the other side of the world in New Zealand and Hong Kong. Honestly, it’s been a delight to encourage and get to know Christian homemakers around the world. I can invite you to our home through the DVDs though, through the homemaking course and through the free podcast (first episode is Oct. 2, 2017). Those resources are my way of reaching out to those outside of my geographical reach. 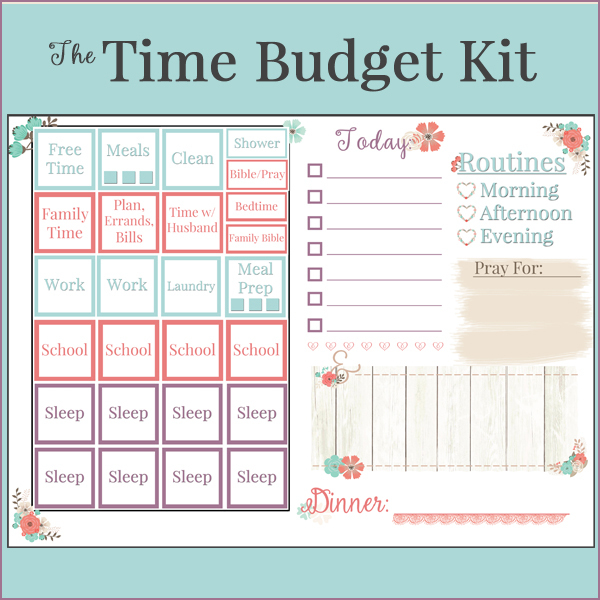 *Homemaking related discussions are some of my very favorites and I’ve been encouraged my hundreds, if not thousands, of those types of conversations over the last 20 years with dedicated, Christian homemakers. It’s a joy to give you even some of what I’ve received.